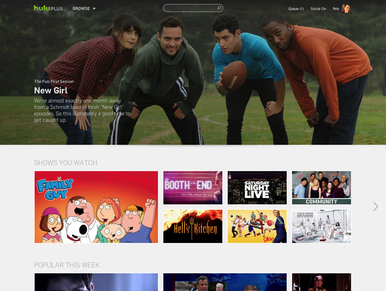 Hulu has redesigned its streaming video site to simplify content discovery and make it more appealing. It also has added a tray-style layout and a new navigation scheme that, according to the company, will make it easier for visitors to browse and find videos. For logged-in users, Hulu will prominently display the shows they watch to make them easier and more convenient to access, as well recommend new ones based on their viewing history. The site’s search engine has also been revamped, along with the show pages. Hulu will also highlight TV shows and movies that are popular on the site at any given time, along with selections made by the site’s staff. This major redesign of the site’s layout and interface comes at a time when uncertainty is swirling around Hulu, a joint venture between NBCUniversal, News Corp., The Walt Disney Co., Providence Equity Partners and Hulu employees. Hulu faces a class action lawsuit in U.S. federal court in which plaintiffs allege that, by using site usage data for online advertising purposes, the company violated the Video Privacy Protection Act, a 1988 law intended to protect consumers’ video-rental records. And an article this week in the entertainment industry trade magazine Variety states that significant changes could be coming to Hulu, including the potential loss of exclusivity on some content and the possibility that its CEO, Jason Kilar may be on his way out. Variety based its article on a confidential, internal memo it obtained and on anonymous sources. Asked for comment by Variety, News Corp. and Disney said in a statement that Kilar has done an outstanding job and that the Hulu board looks forward to his work in the future. Hulu generates revenue from ads and from subscriptions to its Hulu Plus service.